billion gas tax in April. 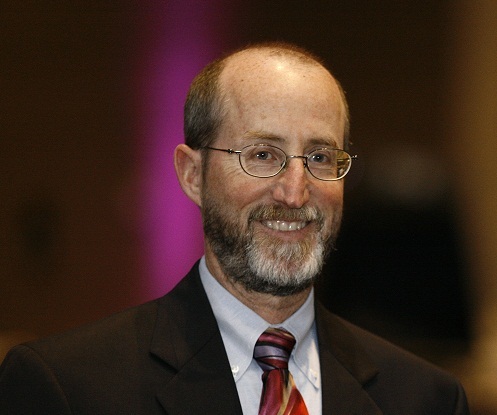 East Bay State Sen. Steve Glazer offered his resignation as chair of the state Senate Governmental Organization Committee, according to a letter posted Friday afternoon on his Twitter account. The move was prompted by state Senate President Pro Tem Kevin de Leon. “At your request, I am submitting my resignation as Chair of the Governmental Organization Committee, effective immediately,” wrote Glazer, in a letter dated Thursday. Some sort of blowback was expected after Glazer was the lone Democrat in the state Senate to vote last month against Gov. Jerry Brown’s $52 billion gas tax legislation. Gliding to far away from the party line on high-profile legislation, in this case, with Glazer’s opposition to the gas tax, is often viewed as subordination by party leaders. In the East Bay, one of the most notable recent cases involved former Assemblymember Sandre Swanson, who was removed as chair of his committee in 2009 by then-Speaker Karen Bass. Swanson had refused to vote for a budget package that he believed hurt children, the poor, and minorities. Posted in committee chair, gas tax, Jerry Brown, Kevin DeLeon, resignation, SD7, State Senate, State Senate committee, Steve Glazer, tax, transportation tax. Bookmark the permalink. Glazer should make another attempt at fighting the tampon tax again. He may not drive, use gasoline, the roads or take BART. However, I'd bet he uses feminine hygiene products. Steve Glazer is a mensch, patriot, and gives a damn about the tax payers. Screw the dirty, whore unions and their lackeys in the senate. Glazer for governor! A TRUE Democrat!! What did he expect? Glazer threw the party under the BART train. Glazer did need to be publicly punished for not being a good little robot and non-thinking puppet on a string by virtue of his refusing to close ranks with Governor Jerry Brown and the rest of the high ranking Democrats who “know” we need to raise taxes. In fact, we should make it illegal to be a conservative or even to ever entertain any conservative ideas. And I therefore propose that anyone who ever violates any of the just previous be hung, drawn, and quartered and also burned at the stake, and as a warning that the phonies who pretend to be liberals, and also pretend to be intelligent and open minded, absolutely will not tolerate any dissent from their lies, garbage, and nonsense. Thank you, 9:12 pm. You get it spot on. Steve Glazer is an outstanding senator, who has battled union sluts forever. He will be a great governor, and help to bring back accountability. Three cheers for Governor Glazer! The California State Senate, and which includes Steve Glazer, has forty members, and I believe the present lineup is 27 Democrats and 13 Republicans. However since in most legislative bodies, and including the California legislature, between one and five members totally control things and dictate to the rest of the members how they are to vote and “think,” California could save a lot of money by drastically reducing the size of the legislature, in other words just keeping the few power brokers, and getting rid of all the rest who normally are nothing more than stooges, rubberstamps, and non thinking puppets on a string for the top leadership. In fact back when Willie Brown was still in the Assembly, it would have been drastically more efficient and economically sensible to have laid off every single member except Willie, since he was the place's total and absolute dictator, and the rest of the members served no real purpose other than being pawns, yes men, and window dressing. Of course once in a while someone, and such as for instance a Steve Glazer, will get out of line, and therefore needs to be disciplined. There are many ways to discipline a bad little boy who refuses to be a stooge and a puppet on a string. To name just a few methods of discipline, the naughty member can basically have his seniority rights revoked, he can be removed from any high ranking positions he many have, and such as for instance a committee chairmanship, or when it comes to being assigned large, comfortable, and desirable office space, he can be basically exiled to Siberia, and including being given an office that is hardly larger than a closet. And especially when the Democrats had a majority in the US Senate, Feinstein was such a total, complete, and powerful dictator, that it would have been drastically simpler to have just given Feinstein about fifty-two votes and then sent the rest of the Senate's Democrats home.